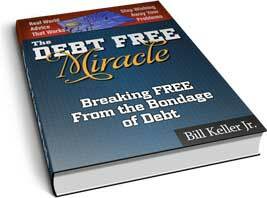 Temptation can be your worst enemy both when accumulating your debt and trying to pay it off. Moves that seem like a good idea at the time can quickly turn in to a full blown nightmare. Make sure you educate yourself and seek professional expertise before you embark on any debt relief tactics. This can save you money in the long run and a whole ton of hassle. 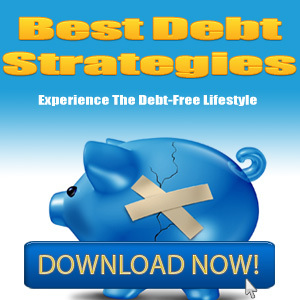 Here is the biggest mistake seen when trying to pay down debt. Borrowing out of retirement funds to pay of debt. Simply put, don’t do it. Borrowing against your retirement strategy can actually end up costing you a lot more money than you had intended too. If you still want to be paying off fees well into your golden years, by all means go ahead and do it, but if you’re like the average American, you need to stop and regroup on debt repayment strategies. Taking money from retirement funds before a certain age will actually incur fees and penalties. You’re going to have to take a hit on your taxes too. Not really the best remedy for paying off your debt right? If you still think this strategy is a worthwhile endeavor, you need to sit down with your financial adviser to see where your portfolio will be in 30 to 40 years time. Weigh the difference between spending your money now on revolving debt and having a lot more spendable money in the future when you enter into retirement. The difference can be thousands of dollars. Not looking like such a good idea now is it? If you still want to follow through, it is heavily advised to talk your strategy through with your plan administrator, the best types of plan to borrow against are 401k and 403b for the least repercussions. The next consumer trap we want to talk about is the payday loan. The ads are flashy, the stores are flashy. Don’t be fooled by all the glitz, a payday loan is possibly the worst type of loan you can get. The company will issue you a set amount of money in return for your next payday check. Although good in theory, these companies are more often than not predatory lenders and charge astronomical interest rates. The highest I’ve seen lies at about 800%, although I would hedge a bet that some charge even higher than that. What happens if you don’t get your paycheck when the payment is due? These lenders will do everything and anything in their power to get funds loaned back. Not a good idea at all. Instead, focus on building a small emergency fund practically so you don’t have to be privy to borrowing one source of money against another. Sell what you can from your own house. Post items on Craigslist or eBay and pocket that money into a savings account that you can’t touch. Pick up odd jobs or do whatever it takes to get to your small goal. $500 is a practical and useful amount that can cover any small emergency.